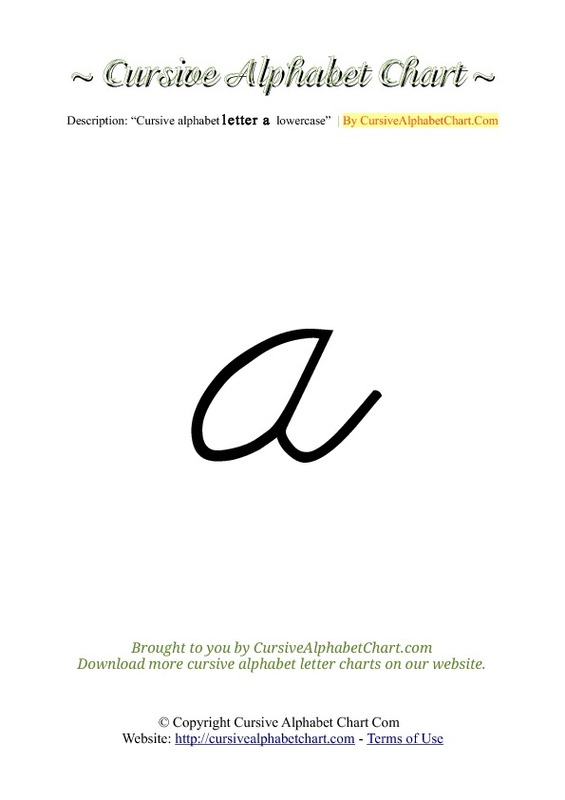 Cursive Alphabet Letter Charts A to Z in PDF. 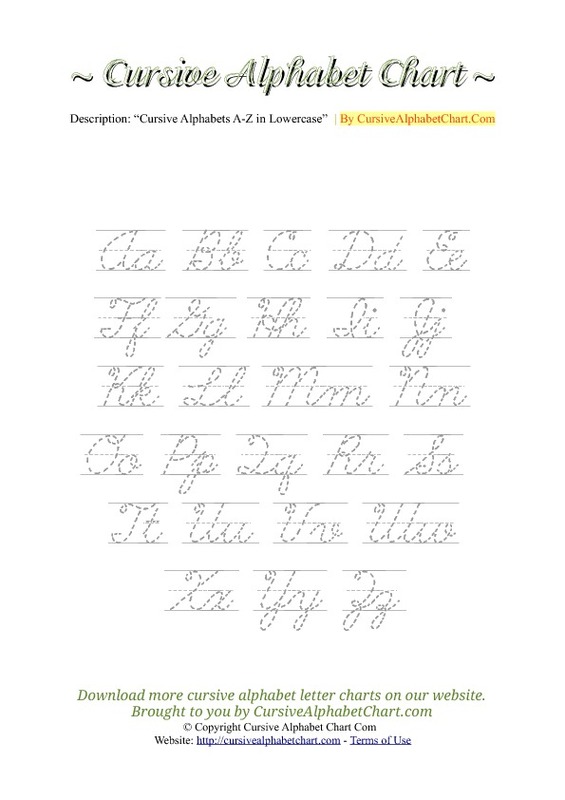 Print our free A to Z letters PDF ready cursive alphabets. 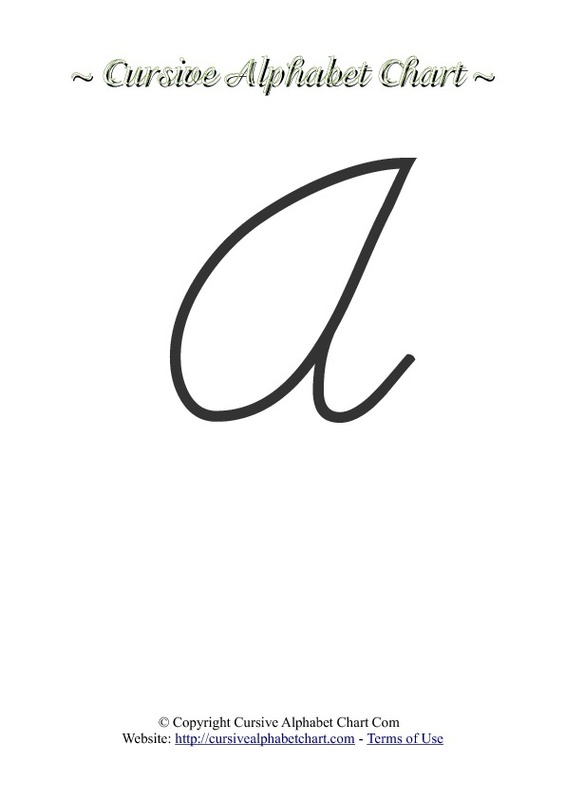 Letter styles include uppercase and lowercase cursive letters, tracing and coloring cursive letters. 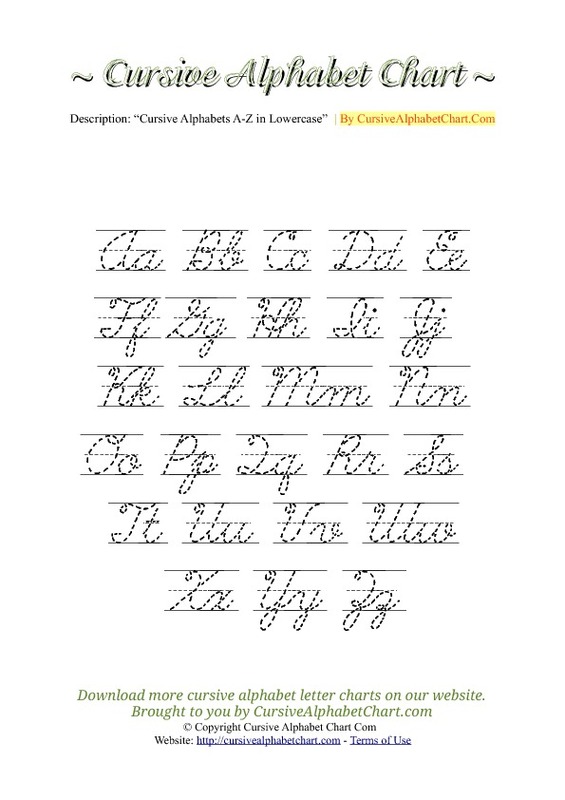 Letters A to Z PDF cursive alphabet charts to print for free. Uppercase alphabet chart with arrows. 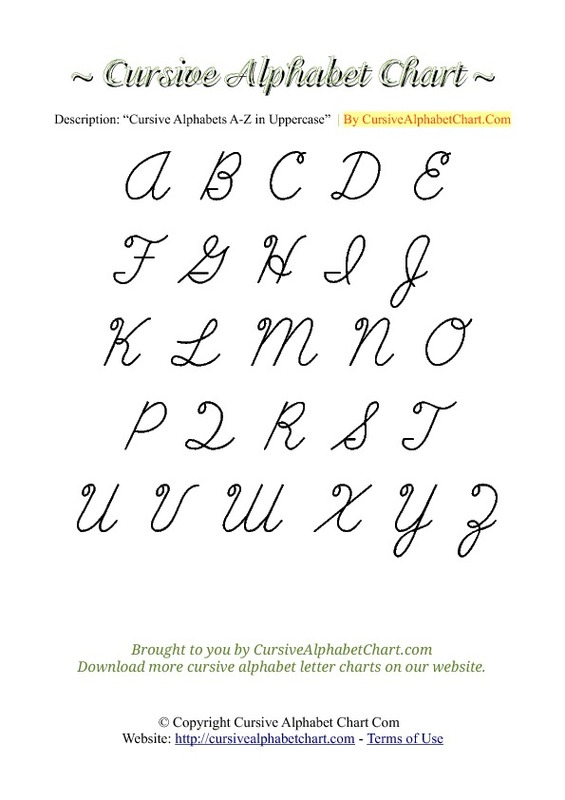 Our free printable uppercase cursive alphabet chart with arrows for kids. Available in PDF format. 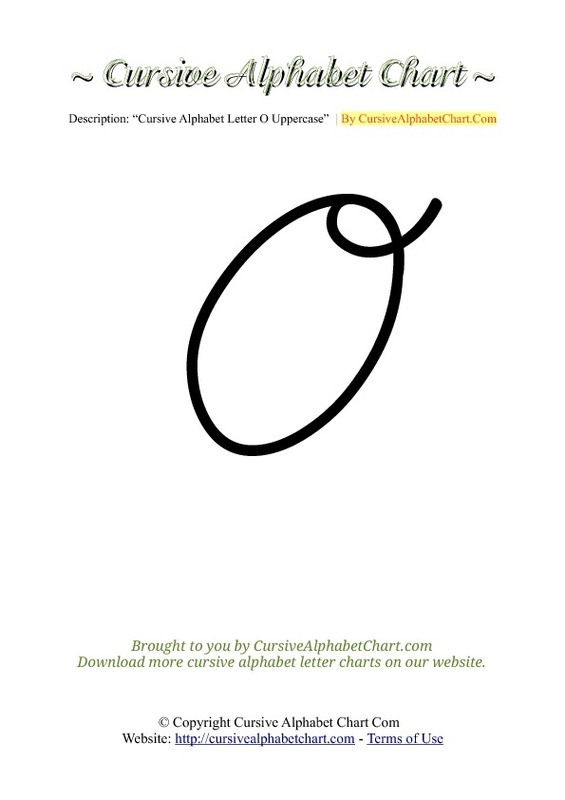 1 cursive letter chart with 26 alphabet letters ( a to z ) in capital uppercase form. 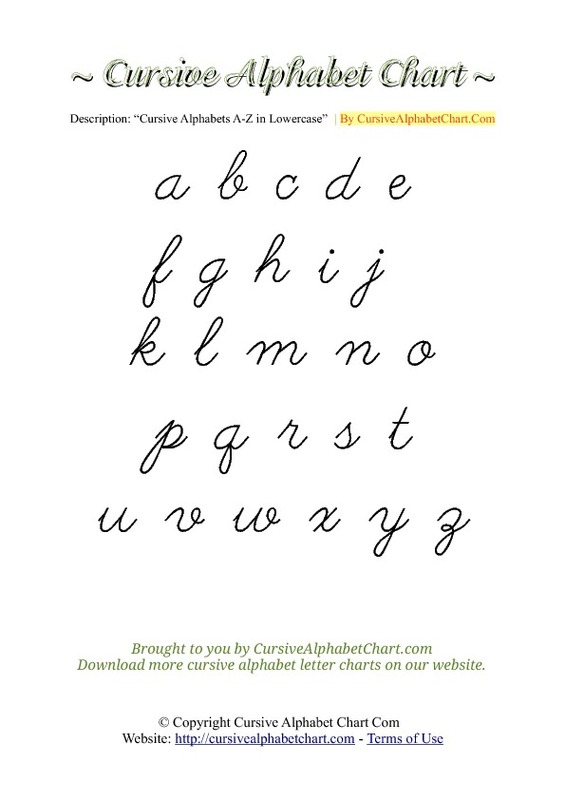 Lowercase alphabet chart with arrows. 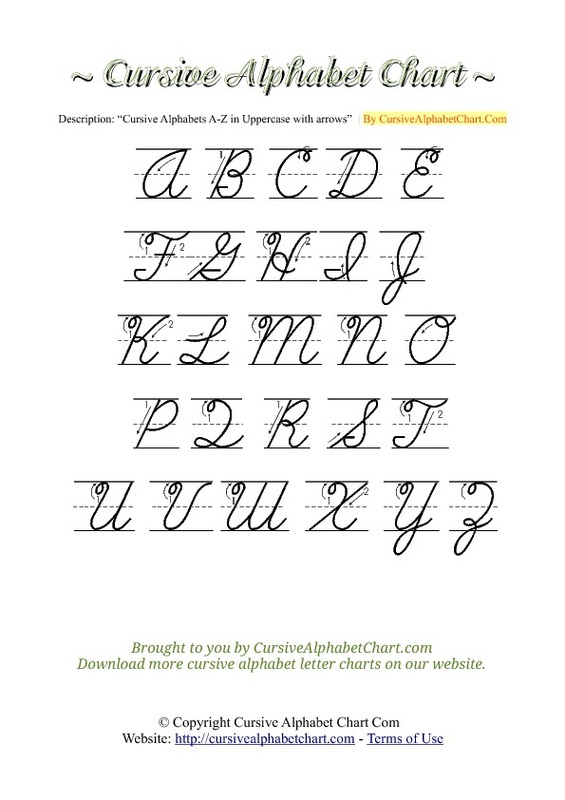 Our free printable lowercase cursive alphabet chart with arrows for kids. Available in PDF format. 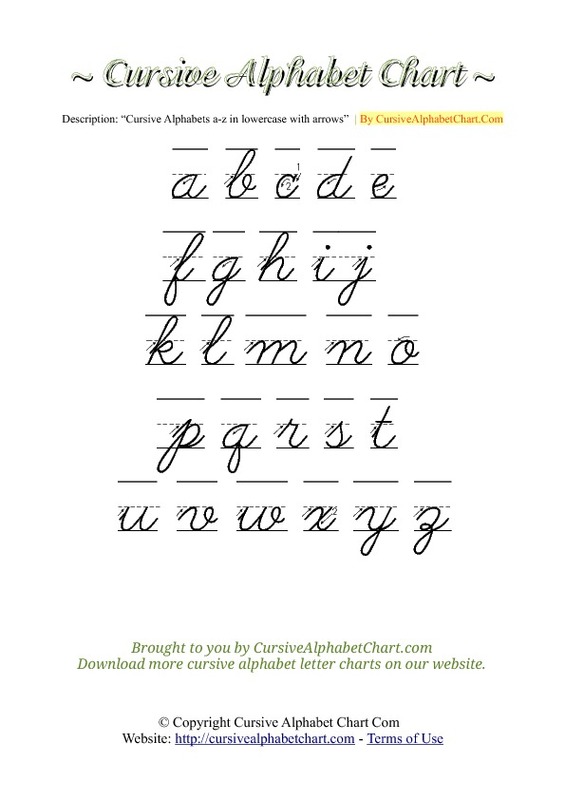 1 cursive letter chart with 26 alphabet letters ( a to z ) in small lowercase form. 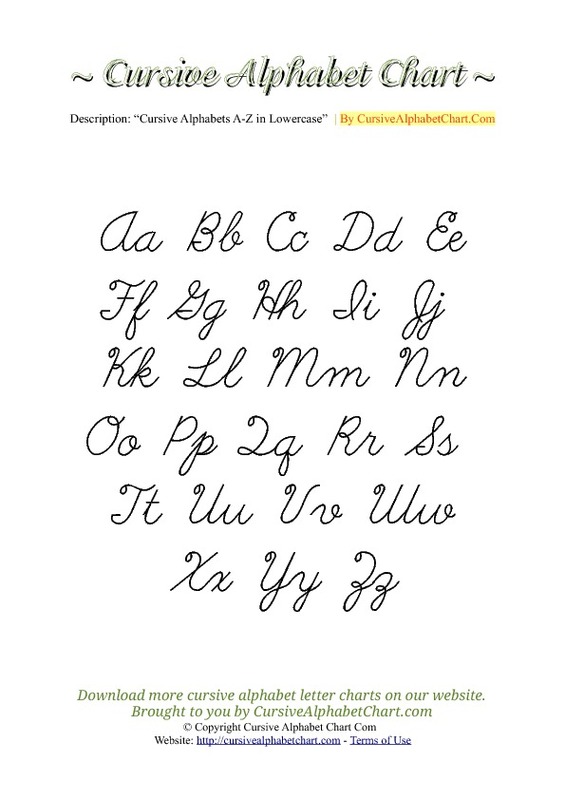 Print our free printable lowercase cursive alphabet charts for kids. Available in PDF format. 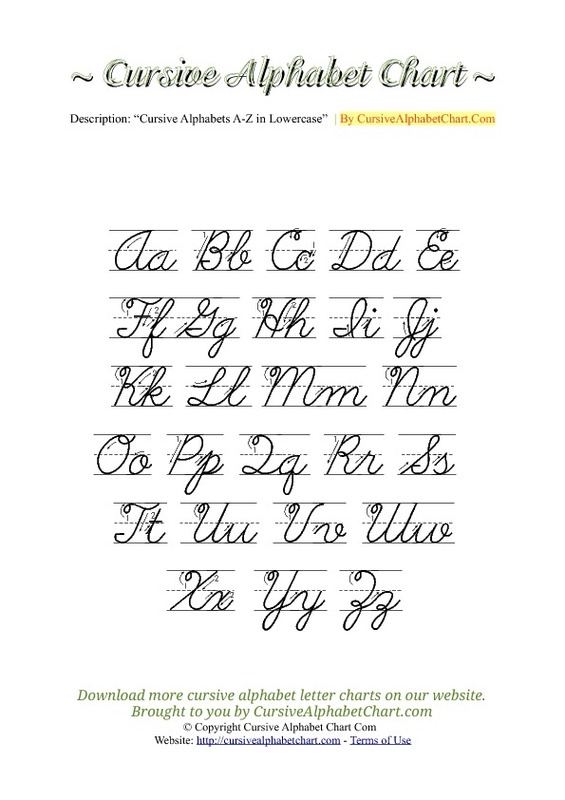 26 cursive letter charts from A to Z in small lowercase form.